One of our most talented chefs in Laguna Beach, Chef Ryan Adams of 370 Common Kitchen + Drink, is pulling up stakes and moving on…but he’s really just moving down the road a patch. Adams announced this week that he will be closing 370 Common by mid-to late September, so that he can better focus on his two newest concepts, one of which (Parallel Pizzeria) resides in Dana Point. Happily, the large, two-story edifice we’ve come to know as 370 Common has already found a new restaurant resident in the uber-talented Chef Greg Daniels, who has announced the coming of his newest concept, Harley. He plans to open in October. Just weeks after opening his specialty pizza restaurant in Dana Point, Chef Ryan Adams also opened Buttermilk Fried Chicken, in Old Towne Orange. Adams’ restaurant sits less than two blocks from Haven Gastropub in Old Towne, which was opened in September 2009 and operated to award-winning status by none other than Chef Daniels. A partner/owner of the popular gastropub, Chef Daniels resigned in April of this year, and is now moving into 370 Common’s space to open Harley. Clearly, the two chefs have been talking. 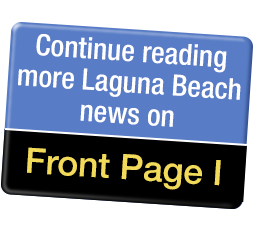 Chef noted, “I have always loved Laguna Beach, and the vibe here is right for what I hope to achieve. “One of the things that I’m most proud of over my time in Old Towne Orange is that, through Haven and Provisions, we worked to help build a food scene there. “I’m really looking forward to being part of the developing food and dining scene with the community of chefs that are already in Laguna Beach, like Amar Santana and Rainer Schwarz,” says Chef. While Daniels continues to craft his opening day menu, he says his focus lies in creating seasonal menus in collaboration with local food producers for the freshest meats, seafood and produce. Daniels further states that the “crafting of the guest’s experience” is as much a priority as the food that is served. As more restaurants go the way of quick serve and self-serve, Daniels says he’s looking forward to bringing back the old-style warmth that will coddle Laguna residents and visitors with special care. To that point, Chef Daniels also announced this week that he will be sharing the love as a participant in the March 3, 2019, Top Chef extravaganza, Illumination Foundation’s OC Chef’s Table at the Disneyland Hotel. Now in its 6th year, the OC Chef’s Table culls the county’s finest culinary talent – the real movers and shakers in our foodie-loving world – for an evening of chefs cooking tableside for guests. The evening’s funds go toward the Illumination Foundation’s effort to break the cycle of homelessness by providing a full circle of services for homeless people that includes housing, recuperative care, after-school resource centers and tutoring for homeless children, and resources, networks and workforce help for adults. Illumination Foundation will reveal all 40-plus chef participants this month. Laguna Beach residents, though, will be the first to get a sneak peek at what Chef Daniels brings to the table with his planned October opening. Stay tuned in Stu News and my own blog, TheBestofLagunaBeach.com. Industry leader publication Wine Spectator magazine has announced its 2018 restaurant award winners, and Selanne Steak Tavern has once again earned the second highest level of recognition – The Best of Award of Excellence. For 2018, this award has been achieved by only 1,215 winners from all 50 states and from 75 countries. All award winners will be featured in the August 31 Wine Spectator issue, which just hit newsstands. Selanne Steak Tavern, an upscale steakhouse and tavern housed in a chicly transformed historic 1934 home on Pacific Coast Highway, has received this award based on its impressive wine inventory of over 2,750 bottles with list strength in selections from California and Burgundy, France. The list also offers outstanding global selections, Old and New World from Washington, Oregon, Italy, New Zealand, Spain, Argentina, Germany, Austria, South Africa, Portugal, Canada and Australia. While the list is heavily focused on California cult wines with many highly allocated, low production, big scoring selections, it is designed to appeal to all wine lovers – their palates, pairing preferences and spending desires. Recently, with the addition of being open for Sunday brunch, Selanne Steak Tavern has enhanced its beverage program by offering 11 sparkling wines by the glass at brunch – a prosecco, two brut rosés, a sparkling selection from Carneros, five non-vintage champagnes and three vintage champagnes from Perrier Jouet. At dinner, the award-winning wine list complements Executive Chef Joshua Severson’s contemporary steakhouse menu featuring steaks, chops and other dishes served with classic sauces, bone marrow butter and sides – from the signature Lord Stanley Cut from Darling Downs, Australia, to Skuna Bay Salmon, Maine Lobster, Wagyu Steaks and Brandt Beef Short Ribs. Selanne Steak Tavern is located at 1464 S Coast Hwy. For more information visit www.selannesteaktavern.com or call (949) 715-9881. The new on-property restaurant for Festival of Arts/Pageant of the Masters (FOA/POM), Terra Laguna Beach, introduces its new Executive Chef, Jenny Messing, and its premiere menu just in time for the Laguna Beach festival season. Officially opening July 6, in line with the beginning of the FOA/POM, Chef Messing’s menu for Terra will be a distinct and vibrant collection of sophisticated and fresh dishes with a focus on California cuisine infused with international inspiration and world-class taste. Born and raised in Southern California, Jenny grew up with a restaurant and catering family legacy. With an education from Culinary Institute of America in St. Helena, California, her specific culinary style is heavily rooted in California cuisine – it’s fresh, fun and sophisticated. Before coming to Laguna Beach, her catering business, Kitchen Vibes, helped facilitate a warm and welcoming dining experience for corporate and private events all over Southern California. With help from longstanding Executive Sous Chef from the previous FOA/POM restaurant in this location, Tivoli Terrace, Gregorio Huerta, and Chef Messing, Terra’s menu will feature some signature favorites from Tivoli Terrace’s previous menu but will breathe new life into this kitchen. Terra will be keeping the Lamb Shank braised in wine, tomato sauce and spices – a pageant classic; June Neptune’s Chicken Walnut Salad with fresh grapes and light curry, as a tribute to June and her legacy; and Tivoli’s award winning Viennese Spiced Carrot Cake. Chef Messing will also add some flavorful new California classics, including Fresh Salmon, pan seared to perfection with fresh pineapple and grapefruit salsa with spicy pickled Serrano peppers and ginger to give your taste buds a kick. Terra will also introduce grass-fed beef with its Grilled Flank Steak with a charred scallion and toasted walnut chimichurri sauce, and a House Salad made with mixed baby greens, fresh strawberries, toasted almonds, chèvre and a rosé vinaigrette will offer a flavorful introduction for every guest – as a simple yet beautiful salad with all ingredients sourced locally in California. For dessert, Chef Messing has created a light Rosemary-Lemon Olive Oil Cake with fresh house-made whipped cream and topped with juicy macerated berries for a perfect ending to a delicious summer dining experience. There will also be a new bar menu that will include artfully crafted cocktails and mocktails infused with fresh juices and herbs, as well as an expanded wine, beer and cider selection. Terra will also be adding healthy and vibrant seasonal brunch items to its weekend menu. Chef Messing is still testing, tasting and perfecting the Terra menus with insight from the FOA/POM and others. Dora Wexell Orgill, Vice President/General Manager of Terra is also looking forward to this new chapter for FOA/POM. “I am so excited to see the community engage with Terra and reconnect to the history of the FOA/POM grounds,” she said. In the fall, Terra will be an active event venue and offer private parties and events customized catering menus and a gorgeous space surrounded by nature. However, in November, Terra will close for renovations and will re-open in May 2019 with its grand opening. Festival and Pageant ticket holders are able to come and experience Terra at their leisure during the festival season; and, with a season pass or a Pageant ticket guests can keep returning to Terra. Prepare for takeoff, Laguna. The best flight ever experienced without having to leave home, Laguna Beach Beer Co., has just arrived. This place is for real, with over 20 original beers on tap and two guest beers. So leave the baggage behind and get ready for this smooth restaurant-brewery ride! Everyone is welcome, whether on two feet or four. This flight is different, even dogs that aren’t designated as “emotional support” are invited, no doctor’s note is needed to walk through the door. There’s nothing plain about this plane ride...belly up to the bar, choose from a selection of high tops, standard and open style seating, outdoor tables, or park it at a chill lounge-like couch setting. Preparing our flight was Captain Russell Swarts, Sales and Marketing Manager. I explained to Swarts the type I beer I like and he prepared my flight schedule. “We’ve been doing a ton of flights. It’s been pretty busy so far. We have 22 of our own beers on tap and two guests beers,” Swarts said. The first leg of my flight was Ruby Street, a grapefruit IPA / ABV: 7 / IBU: 70, one of their most popular, a West Coast style IPA with a healthy dose of the tasty, great fruit. As a beer aficionado, I had elevated expectations and to have them exceeded was exceedingly exciting. My immediate reaction was this is the best beer I have ever tasted. Anyone who knows me, understands that’s a big deal, hugely big. I diligently delved into my pursuit of the other beers on my itinerary, doing my due diligence as a reporter, of course. Main Tower, Big Bend, and Telonics Trail were mine for the tasting. Me absolutely loving the beer flight I was on at Laguna Beach Beer Co.
Big Bend is a Hazy IPA / ABV: 8.2 / IBU: 64, named after the hairpin turn in Laguna Canyon, described as a hazy double IPA with flavors of passion fruit and ripe melon, double dry hopped with Ekuanot, Mosaic, and Dr. Rudi for that bitterness and aroma,” according to the beer menu. “This has definitely been a crowd pleaser,” Swarts said. I was indeed pleased. Suddenly, beer by beer, my new favorite choice of brews became clear. My fave was Ruby Street, Big Bend, Telonics Trail, and a Guava beer that Mike Tauber, my partner in crime to check out the Beer Co., had on his flight. I was ready for landing. “Big Bend is my favorite beer right now,” Swarts said. As for what’s most requested, Swarts said, Big Bend or our Drunken Cellarmen, 2.0, which is a hazy IPA. So what is a hazy IPA as opposed to sans haze? “It’s a very juicy tropical beer, each variant is different based on the hops that we use so the version was very light, the second version was actually very bitter, and the third version is going to be like the first version a little bit lighter, very juicy and tropical,” Swarts said. It resonates for summer, a sweet summertime swill. The Beer Company likes to go local when possible, as the two owners are Laguna Beach natives Brent Reynard and Mike Lombardo. However, the most is important ingredient is using the best ingredients. “Our malt comes from Germany. We do use some local Southern California companies, including a hop company from San Diego,” Swarts explained. “We try to tie it in with the local area, the names of the beers. Saddleback Mountain is where our brewery is, so we send some love to them,” Swarts said of Mike’s first beer. It was time to come back down to earth and order some of their tasty eats. I ordered what they call artisan flatbreads. I call it pizza. It tastes a lot like pizza you can find in North Beach, San Francisco, delicious. I got a Margherita. Tauber asked to be surprised with something that has meat in it, something that says wow, you can’t get this anywhere else. He got the Cali-Chick, a chicken breast with cilantro pesto, smoked mozzarella, arugula, avocado, and tomato on a talera roll. He was in love, especially with the fact that all their sandwiches come with fresh greens. Everything tasted so fresh. We also had a side of baked cauliflower with corn and brie with fruit. And we loved the presentation of the flights, the wooden racks made with a chalkboard intersection to write the name of each beer on it, its initials, giving it a unique touch. Each flight was put in the order to drink from, left to right. But not me, I moved them all around, except Ruby Street, which didn’t really come out of my hand. Tauber was going for his Guava beer while I was trying Big Bend. “I love Guava, so of course, it has my name written all over it,” Tauber said. And I of course had to make a quip, “Well really MT, Main Tower does.” We had a good laugh over that. “The Guava is light and has an absolutely fresh guava taste to it. I picked guavas in Hawaii and this is delicious,” Tauber said. Guava beer was new to me and to my delight it was unbelievable, practically neck and neck with the grapefruit freshness of Ruby Street. I elicited a meow in response to my first guava sip and found myself holding onto his beer for a couple more swills. “What we did for that beer, we made a Hefeweizen and we split the batch, so we got two beers out of one. We added guava puree to about 10 barrels of it,” Swarts said. Rob McClaire who was once with the Montage and other high-end restaurants oversees operations. He was warm and welcoming. Tauber enjoyed the open vision of the kitchen, where you can watch the chefs at work. Enjoy the buzz of the Hive and the liveliness of the revamped Civic Art District, especially the tasty eats and beer treats at Laguna Beach Beer Co. The place was packed all night but with plenty of room, nonetheless. We ran into David Evans, who we really like, a close friend of one of our best friend’s, Sian Poeschl. He had already been to the bar twice by Saturday. “The selection of the beer is amazing here. It’s cool,” Evans said. Tauber and I reiterated to each other how exemplary the staff is, and we couldn’t get over the cool atmosphere, so Laguna Beach. “We’re trying to keep it laid back and local here,” McClaire said. It definitely delivers on that promise. There was not an empty bar stool the whole time we were there. Mike and I concurred that it’s better than 5-stars. Now it’s your turn to check it out. “We have our grand opening Thursday, June 7, starting at 5 p.m. with live music, light appetizers, and a live muralist next door,” McClaire said. “We plan to highlight different artists on our walls for Art Walk nights,” Swarts added. The event is being held in conjunction with the rebranding and opening celebration of the Hive. Swill on! Laguna Beach Beer Company, located at 859 Laguna Canyon Road, is open every day from 11 a.m. to 11 p.m. Kitchen in the Canyon is now owned by The Laguna Beach Company, led by the Honarkars and the Orgills, according to a press release issued on Thursday. “With new ownership by The Laguna Beach Company, Kitchen in the Canyon on Laguna Canyon Road will maintain and expand its reputation for being a culinary destination and community staple in Laguna Beach. Kitchen in the Canyon is a central gathering point within the Arts District in Laguna Beach and has become a hot spot for brunch and lunch,” the release states. The Laguna Beach Company, LLC (TLBC) owns the property where Kitchen in the Canyon is located, and now owns the business, Kitchen in the Canyon, as well, with Dora Wexell Orgill as the VP/General Manager and Jenny Messing as Executive Chef. This neighborhood café, located in what used to be the Arts District and is now known as The Hive, has become a favorite dining spot for breakfast, brunch and lunch. It is next door to [seven-degrees], Laguna College of Art and Design (LCAD) student housing, and neighboring the Sawdust Festival grounds as well as the Art-A-Fair grounds. The acquisition of this property by TLBC has led to some innovative improvements to the Arts District, while maintaining the legacy of the community favorites in this area. Before Patrick DiGiacomo and his partners Craig Lyon and Debi Lyon began Kitchen in the Canyon in January of 2017, this spot had previously acted as a culinary school called Laguna Culinary Arts, offering cooking classes and programs for many different levels of chefs. Kitchen in the Canyon Manager Craig Lyon is looking forward to expanding upon the legacy already created at this restaurant with this new ownership. “We have created such a beloved, down-home, comfortable community café over the last year and a half at Kitchen in the Canyon thanks to this great community and our incredible staff, and are so excited to finally be able to have the support to see some of our original vision come to fruition, and keeping our staff intact in the process, with the investment in the community from The Honarkars and The Laguna Beach Company,” he said. According to the release, DiGiacomo gladly sold the business to the Honarkars and The Laguna Beach Company and is ready for the next chapter in his own life. “After two years of building Kitchen in the Canyon into a successful community café, I am happy to pass the reins to Mo Honarkar, who has an amazing long-term vision – not just for Kitchen in the Canyon and The Hive, but for the future of Laguna Beach,” DiGiacomo said. The future of Kitchen in the Canyon looks bright. The management and staff are staying put, and with the addition of the new Executive Chef Jenny Messing, the menu is going to be expanded but the legacy will remain intact. The operating hours are expanding too (now open from 8 a.m. to 3 p.m. daily with plans to expand to dinner hours in the near future also), and TLBC plans on adding more diverse and accommodating menu items, utilizing locally sourced produce, and continuing to serve fresh baked goods by Debi Lyon, helping to create a truly inclusive, delicious, and healthy dining destination for residents and visitors from all walks of life. Chef Messing brings her passion for healthy comfort food and a love for aesthetically pleasing dishes that focus on awakening the taste buds, nourishing the body and exciting the eyes. Born and raised in Southern California, Messing feels inspired by the community of Laguna Beach and the full experience of dining. “I’m really looking forward to taking this café to the next level, and giving everybody a chance to eat something that they will not only love to eat, but that they will feel good about eating,” she says. For more information, contact Kitchen in the Canyon at (949) 715-5388. Last week, I had the pleasure of being invited to two Laguna-related restaurant “soft openings” on the same night. Now, “soft openings” can be any of a number of events for a new restaurant just readying to open its doors to the public, which proved to be the case last Thursday. My first restaurant opening of the evening was in Dana Point at Chef Ryan Adams’ new concept restaurant, Parallel Pizzeria. Chef Ryan is a longtime success story here in Laguna Beach with Three Seventy Common Kitchen + Drink, so I knew I was in for a treat. Truly one of our most talented chefs in Laguna Beach, Chef Ryan is incapable of making anything ordinary, even if it’s pizza. I showed up to an almost-empty restaurant except for Chef Ryan, his impeccable PR agent, Marguarite, kitchen and serving staff, and a single 10-top table filled with the area’s top food columnists. It was like a family reunion seeing all my foodie buddies there. In minutes, Chef Ryan and team were off and running with plate after plate of fabulous fare. His “Parallel” concept is only about the East Coast’s New Haven, Connecticut-inspired pie meeting the West Coast of fresh, organic flavors. In Ryan’s opinion, no one makes pizza better than this mid-size coastal city on Long Island’s Sound. Not unexpectedly, Chef Ryan did his usual intricate research, even having the New Haven water tested, then shipped in the exact same level of minerals to enhance his SoCal water here. To create the perfect New Haven pizza crust, of course. From his West Coast pear and gorgonzola-based salad to his East Coast chopped salad, and from a classic East Coast Clam Pie to the West Coast-based Killer Dana Pie, it is truly a heavenly mash-up of the best of two worlds. For the sake of brevity here, I have a full review of Parallel Pizzeria in my blog, Tge Best of Laguna Beach at www.LagunaBeachBest.com. Parallel Pizzeria opens today, Friday, June 1 and is open from 11 a.m. to 10 p.m. daily. It sits in “The Row,” right on Coast Highway by Chronic Tacos and Subway at 34255 Pacific Coast Highway. I scooted from Parallel Pizzeria to my second restaurant “soft” opening at Central, our re-opening Peruvian restaurant on Forest Avenue. As you may recall, Central experienced a devastating kitchen fire on December 29. Thankfully, no one was hurt in the unexpected blaze, but they experienced a crushing $350,000 loss that included $20,000 in wine. While Central Partners Anna Montoya and Taylor McKinney hoped to be open in February, they were finally able to celebrate their soon-to-open status last Thursday, May 24. I arrived about a half hour after the party had begun, parked on a side street and half-mindedly noticed a roar of some sort of crowd as I began my short trek to Central’s front doors. As I turned the corner, I realized the roar was emanating from none other than Central itself. The place was absolutely packed with well-wishers, from the outdoor patio to the walls hugging the bathrooms at the restaurant’s very back. Taylor was manning the front with a couple of darling (but overwhelmed) hostesses and offered me a welcome hug. And then…I was left to wade into the throng. I managed to push my way in about two feet, popping up on my toes to see if I could find any familiar faces. The place was absolutely vibrating with high energy and happy, loud conversation, and I couldn’t help but grin. I remember the days when Anna first opened Central and worried with me about whether or not the crowds would ever come her way. As I tried to wrassle my way further into the restaurant, I discovered my hands were near my chin, similar to that of a Tyrannosaurus Rex. As a cocktail server neared me with her tray of enticing appetizer samplers, I found myself helpless and hapless, unable to reach for a bite with my now-diminutive reach. I couldn’t help chuckling; this was a significant change up from the tranquil restaurant opening I had just exited moments before. I managed to turn (really just spinning on my heeled toes as it was all the room I was allowed) and discovered Anna trying to make her way in the front door. I waved her down, hugged her, gabbled happily for a moment, and barked at people to clear a small path so that we could get a photo together. The fanfare and goodwill were absolutely exuberant all around, and there is no one more deserving than Anna and Taylor. I managed to tap the shoulder of one of the few local friends I could spot, and we shuffled and squeezed our way down the length of the restaurant to the back door exit. Emerging rather sweaty and disheveled, we took a few deep breaths…and headed for Ryan’s 370 Common for a much-needed drink. Central opened to the public last night (Thursday) and I’ve made reservations for Saturday evening. I can’t wait to see the renovated space and try the “improved” menu (though I doubt much of anything can be improved at this fine eatery). More news on that review in my column next time! Congratulations to both of our Laguna-based restaurateurs, and I look forward to seeing both of your places filled to the brim. P.S. For Chef Ryan’s fried chicken-loving fans…oh, have I got news for you. More on that next week here at StuNews. Diane Armitage is the best-selling author of the book The Best of Laguna Beach, and offers a cornucopia of ideas and upcoming events at her blog at www.LagunaBeachBest.com. May 28th marked the three-year anniversary of my arrival in the USA, so what better way to celebrate than to go out for a very fancy brunch? For this week’s report, I ventured south. “What, you crossed the border?” I hear you cry – yes, I did, I drove all of ten minutes away and went to Monarch Beach Resort’s restaurant Aveo to sample their incredible brunch. Monarch Beach Resort is a luxury resort, recognized among the best in the world, with panoramic views of the Pacific Ocean and 400 exquisitely appointed guest rooms and suites. This resort is very special, nestled along the coast in Dana Point. It features the Robert Trent Jones-designed Monarch Beach Golf Links, access to one of the most exclusive beaches in Southern California, three luxurious pools, and six ocean-view restaurants, Aveo being the one that offers brunch every Sunday from 11 a.m. – 2:30 p.m. Drawing inspiration from the South of France, Executive Chef Collin Thornton also borrows flavors from across the Mediterranean, from Spain to Italy and from Greece to Morocco. Chef Thornton oversees all culinary operations including the resort’s signature Stonehill Tavern and Michael Mina restaurant; Sombra, a poolside Mexi-Cali cantina; 33˚ North, a convivial indoor-outdoor lobby-lounge; Part & Parcel Market, a grab-and-go marketplace; and Club 19, a gastro pub dining experience. An incredibly busy chef, yet he still made time on a busy Sunday over memorial weekend to introduce himself to me and my guest. He’s passionate about Monarch Beach Resort, enthusiastic about all of his restaurants, and his love for food is evident in the way he talks. Originally from Hamilton, Ontario, Canada, Thornton began his culinary career at the early age of 14 in Edmonton, Alberta, starting as a dishwasher and working his way up to an apprenticeship at the prestigious Edmonton Petroleum Club. Thornton has a distinguished 20-year culinary career working at Fairmont Hotels & Resorts properties around the world. He most recently served as Executive Chef of the Fairmont Royal York hotel in Toronto, home to the largest hotel kitchen in Canada, and previously held positions at Fairmont Hotel MacDonald in Edmonton, Alberta; Fairmont Southampton in Bermuda; the historic Fairmont Chateau Laurier on the Rideau Canal; and Fairmont Orchid on the Big Island of Hawaii where he oversaw 540 guestrooms, four restaurants and three lounges. The brunch truly is a feast for the eyes. The spread spans the entirety of the restaurant, converting its bar, terrace, and dining rooms into a buffet featuring 10 over-the-top brunch stations. Never before have I seen such an exquisite buffet brunch, with so much on offer that it was difficult to know where to start. The brunch is divided into the following stations – well, the easiest way to explain them to you is to take you through them in order of how we ate. At the omelet and pancake station, we decided to go for the omelet, with a side of bacon (the bacon here is really good, very crispy as I like it). You can build your own omelet and literally get the chef to make it just how you want it. Ours was delicious, light, fluffy and packed full of ingredients. West Coast & East Coast oysters, jumbo crab claws, and shrimp are offered at the raw bar and sushi station with an array of house-made accompaniments. AVEO’s sushi chef prepares made-to-order hand and cut rolls, and a bamboo boat boasts a sea of nigiri sushi. This was such a beautiful station to look at as well as eat from: the sushi was so fresh and prepared to suit your tastes and needs. The savory station features hearty offerings including Braised Chicken Cacciatore, Pacific Dover Sole, Moroccan Spiced Lamb Chops, and Seafood Paella that highlight the savory flavors of the Mediterranean and offer a peek into lunch and dinner items at AVEO Table + Bar. We sampled something from every dish on this station and they were all incredible. My particular favorites were the lamb chops, cooked to perfection and the sauce was so delicious. Located outside on the terrace, the Little Italy station offers made-to-order risottos and house-made pastas & raviolis customizable with a variety of authentic Italian ingredients and house-made sauces. A wood-fired oven warms a variety of flatbreads including a sweet & savory Prosciutto & Pear with Quince. There were also cooked meats available here. We tried the flatbreads and risotto from this station, and they were both stunning. I have never in my life seen anything as beautiful and spectacular as this dessert station. Chef Thornton told me that the gentleman responsible for this was Jamon Harper, with whom Chef Thornton worked at The Fairmont Orchid in Hawaii, and brought over with him when he got the position at Monarch. I’m so glad he did. Amid a colorful menagerie of peanut butter jelly verrines and gold-dusted caramel tartlets, the Dessert Station also boasts a triple-tiered chocolate fountain and I’m told will soon expand to feature a made-to-order frost-top ice cream bar. This was a real treat and we sampled as many things as our tummies would allow. My personal favorite was the chocolate dipped strawberries, which were the most deliciously ornate things I’ve ever seen and tasted so great. Fine American & European cheeses are displayed at Aveo’s Antipasti Station with artisan baguettes, dried fruit, and a whole golden honeycomb. Smoked & cured meats and house-made pâtés & rillettes are offered alongside assorted mustards and pickled vegetables. I don’t think I have ever seen such a range and variety of cheeses in my life, all so tasty and incredibly, even though this was a buffet, there was never any mess that you would associate with a cheese board, everything was presented so well and kept very well stocked. Other stations include a Miraval Juice & Smoothie Bar, Continental Breakfast Station, Seasonal Salad Bar, Carvery, and a Children’s Station. This was a serious feast, I was so thankful I wore a very flowing dress for this occasion and believe me when I tell you, I ate nothing for the rest of day… This brunch is seriously worth leaving town for. Brunch is priced at $78 per guest, $39 for children ages 5-12, and free for children under five. There are some wonderful upgrades available, including the Champagne package, the Bloody Mary package, and the Mimosa package. Full details are available at the resort’s website, www.monarchbeachresort.com or Facebook.com/Monarch Beach Resort. AVEO Table + Bar is located at One Monarch Beach Drive, Dana Point. It is a truly indulgent afternoon and evening, made even more special by knowing that one hundred percent of ticket proceeds benefit No Kid Hungry. Nearly one in five children in the USA struggles with hunger, including more than 2,487,750 children in California. No Kid Hungry is ending childhood hunger in this nation by ensuring that kids start the day with a nutritious breakfast and families learn the skills they need to shop and cook on a budget. Since the campaign’s launch, No Kid Hungry and its partners have connected kids struggling with hunger to more than 500 million meals. A number of celebrity chefs came together to prepare fresh farm-to-table delicacies to further share in the mission to end childhood hunger in Orange County and across the nation. favorites and celebrity hotspots, Bar Siena and Siena Tavern. restaurant in upstate New York, Portico by Fabio Viviani. The host chefs were none other than the wonderfully talented Craig Strong, Executive chef at The Studio at Montage Laguna Beach and a fellow Brit, Lee Smith who is the equally talented pastry chef at Montage Laguna Beach. Chef Bryant Taylor, Chianina Steakhouse, Long Beach; Chef Dakota Weiss, Sweetfin Poke, Los Angeles; Chef Eric Samaniego, Michael’s On Naples, Long Beach; Chef Jason Neroni, Rose Café, Venice; and Chef Tin Vuong, Blackhouse Hospitality. The afternoon was spent enjoying delectable tastings of all the Chef’s dishes, which were seriously out of this world good, sipping fine wines, signature cocktails, and enjoying panoramic views of the Pacific Ocean at Montage Laguna Beach. In addition to delicious food and drinks, we were entertained by a local band, the Kalama Brothers, who were fun and added to the already beautiful day. The event continued into the evening with yet more eating and drinking while mingling with the chefs and hopping in and out of the photo booth. Habit Burgers ensured that we all received an amazing burger to soak up a little of the alcohol before we made our way home. It is estimated that the event raised approx. $200,000. For more information on the charity, visit NoKidHungry.org. In the 1970’s Bina and Antonio Crivello left their native Italy for a new life in America with their sons Massimo and Vince. Starting in LA it wasn’t long before the boys developed a love for cooking and a love for our beautiful Laguna Beach. A love, which saw them move here in 1989 and open Restaurant Rumari, Rumari meaning restaurant of the sea. For 30 years this traditional fragment of Italy has served locals and tourist in Laguna Beach. The restaurant is recognized by its cozy and friendly ambience, its warm dining room and a twinkle-lit romantic patio. It counts mama Bina’s famous Sicilian style cannoli recipe and papa Antonio’s delicious foccacia bread as its famous favorites. Rumari is a real “family affair” with some members of staff that have worked in the restaurant for close to 30 years. General Manager Martine is always a friendly face to welcome you in. And the wait staff are knowledgeable and friendly. Our server was Fiore, who has been with Rumari for six years. She considers the Rumari family to be an extension of her own and her passion for the restaurant is evident as she guides us through the menu. For this visit we decided to eat family style. Those who read my column weekly know that this is my favorite way to eat. I had the pleasure of three wonderful young diners with me this week, my son Jesse (age 14) my daughter Lula (Age 11) and their friend Hunter (age 11). Rumari’s menu is split into sections, small plates, pasta, salads, appetizers and mains. Without hesitation the boys in a group selected the veal meatballs from the small plate menu. These were absolutely delicious, served in a deliciously brothy tomato sauce, the meat was rich yet tender and the spices and binding ingredients were a cornucopia of flavors. Having had the best meatballs of my life during a visit to Sicily in 1998, I can honestly say these were just as good. My little pizza-loving daughter went for the pan fried pizzette margarita. Pizzette, for me, always implies small. This pizzette was not small at all. It was delicious, again the tomato sauce was so tasty and the combinations of cheeses (I feel like it was mozzarella and possible a mature chedder) was perfect. It was also super thin crust, which is definitely my preference. I decided to choose something lighter and went for a special of the evening, asparagus wrapped in pancetta with shavings of mozzarella. This was a delicious dish and surprisingly my small guests wolfed them down also. It was then time to try a pasta dish (how could we not!) with over 16 pasta dishes (most of which can be served gluten free) it was difficult to choose. However as we had gone for a fairly tomato based small menu to begin with, we chose to go for a more creamy pasta option and tried the Fettuccine Dello Chef Alfredo, which was an Alfredo sauce with tiger shrimp and parmigiano cheese. This was an outstanding dish and at this point I was regretting the family style choice as I sadly had to share it with the pesky kids! The shrimp was heavenly and huge, the sauce rich and decadent. I love that feeling when you know you made the right choice. I would highly recommend it. It was then on to select a main and I asked Fiore for her recommendation. She offered me three fish dishes but in the end the Seabass Piccata won. Piccatta sauce is made up of lemon, white wine butter and capers and served over the seabass was exceptionally good, served with seasonal vegetables and a beautiful potato gratin, this was an outstanding recommendation that the whole table really enjoyed. What I feel I should say now is that at this point in our meal, I felt like I could have been sitting in a restaurant in Italy or Sicily. The authenticity of Rumari’s is really incredible, from the décor, to the table scape, to the menu. It really is like someone picked up the restaurant from Italy and flew it right here to Laguna. An Italian meal wouldn’t be complete without a fabulous Italian dessert and we were not disappointed, out came a Tiramisu and a cannoli. Both of these (along with crème brulee) are on my wish list to be served to me on my deathbed, kind of morbid, but very true. And now I’ve changed that to ensure that both of these desserts come from Rumari. The tiramisu was authentic, rich, creamy and more-ish and the cannoli just the right consistency with its crispy coating and its heavenly filling. Seriously good. Alongside all of this amazing food, I was kept well lubricated with a selection of wines that Rumari proudly carries. My experience at Rumari was beyond exceptional. If you have never visited Italy, you have to book in at Rumari to experience traditional Italian flavor. If you have visited Italy and feel that you want to get back there, without the heavy plane fare, you definitely need to book a visit. Grazie Ristorante Rumari, ritorerò presto. Rumari is located at 1826 South Coast Highway. Call 949-494-0400. It was an exciting week this week, as my time came to review Studio at Montage Laguna Beach and quite brilliantly it happened to be the week that my parents were in town from the UK to celebrate my dad’s birthday. So who better to take to one of Laguna Beach’s most celebrated and acclaimed restaurants? That’s right - my dear dad, David Kirkham, who looks about 45 but actually turns 60 on June 30. I consider myself to be very lucky to have such a wonderful father. A carpenter since the age of 15, he has been the most inspirational person to me. His passion for his craft has always driven me. He’s the guy that can make anything out of anything, he’s the “wood guy” that can look at a piece of wood and tell you its age its origin and more. He’s also the guy that spends way too long in the DIY store (insert eye roll). And he is a great chef! He uses cooking as a way of chilling out after a busy day at work and makes the most beautiful food, experimenting with anything and everything. So I knew that an experience eating Chef Craig Strong’s phenomenal and imaginative food would be such a treat for him. Chef Strong has been executive chef at Montage Laguna Beach for nine years. He is known for his modern French cuisine with California influences. His love of cooking was developed at an early age. One of eight children growing up in San Diego, he was inspired by his mother and grandmother to first experiment with tomatoes and zucchini grown in the family’s vegetable garden that was his to manage. Strong was named runner-up Chef of the Year by Angeleno magazine and was a semi finalist in the 2009 James Beard Foundation Awards for Best Chef/Pacific. Over the past couple of months, I have been lucky enough to have a few encounters with Chef Strong. I’ve written a feature about him for another publication. I also attend the same yoga class as him and his beautiful wife Lisa. Anyone can Google Chef Strong and find out all of his accolades, but to know him is to really love him. I have been blown away that such an accomplished, well-traveled, successful chef could be so humble, so calm, so accommodating, and such a gentleman. He is a keen mountain biker – he bikes most mornings before work – and, like my father, he is a devoted father and family man and is passionate about his craft. He is also a great believer in harmony: in his kitchen, his restaurant, his life and on every plate. With this in mind I knew that this dinner was going to be very special. Studio at Montage offers tasting menus including a vegetarian option as well as a regular menu. The tasting menu is also available with wine selections or a grand wine tasting. Chef Strong had arranged for me and my dad to try a selection of dishes from both tasting menus while sitting at the communal table overlooking the Montage grounds and the beautiful ocean. He came to greet us and as I imagined, he and my dad got on famously. Peter Koehlinger and Dylan Cloughen were our servers for the evening and they brought out a selection of amazing hors d’oeuvres. Delicious caviar tacos, which melted in your mouth; a dehydrated rice chip with a madras curry paste, garnished with micro greens and wasabi; a short rib croquet with a horse radish puree; and lastly a duck confit spring roll with orange jelly and micro cilantro – the one-bite size hors d’oeuvres were all spectacular, interesting and so full of flavor, the perfect way to start our evening. It was then on to the first course and we were presented with Seared Ahi Tuna from the tasting menu. This is served with a fava bean puree, pickled radish which injects a little spice and heat to the dish, and it is topped with a Focaccia Tuile (tuile is a baked wafer) strawberry powder, mustard greens and micro greens. Alongside this dish is a beautiful and unique gazpacho. Chef Strong uses a combination of red and green strawberries to make the broth instead of the traditional tomato base and the results are astounding. This was a light dish, with the combination of flavors blending together beautifully. The next dish seriously blew me away. This dish can be found on the vegetarian tasting menu and is called Crimson Beet Tartare. Crimson beets are molded onto the plate with a delicious horseradish puree and then on top is a perfect yellow yolk, except it’s not a yolk (this is a vegetarian menu after all) – it’s a faux yolk created using molecular gastronomy and golden beets. This is outstanding. Peter, our server, encouraged us to cut the “yolk” and allow the liquid to fall over the crimson beets. This was not only beautiful to look at but also delicious to taste. In between this and the next course we were presented with a variety of delicious breads, brioche, multigrain and rye, and butters including a goat milk variety, a traditional, and a lemon and garlic flavored version. Bread is one thing I tend to avoid, but I tried them all and all were exquisite. The next dish was New Caledonian Prawns, which were pan seared and served with egg noodles tossed in a basil and garlic emulsion and served over a shrimp reduction which had been infused with Meyer lemons from Chef Strong’s garden – it should be mentioned at this point that many of the vegetables, fruits and herbs come from Chef Strong’s garden or from the gardens at Montage Laguna Beach. This dish was topped with a dehydrated black olive and orange powder – yet again another imaginative and impressive combination of flavors. The next dish was seared Maine scallops, served with a Romanesco puree, a cauliflower salad, beurre blanc sauce and bonito-yuzu koshū butter. This was topped with a fried cracker dusted with Nori powder. The combination of the Asian flavors and the tenderness of the perfectly cooked scallop was incredible. The celerini alfredo was next, celery root noodles with garlic cream, brown butter crumble and dehydrated porcini mushrooms. I am a big fan of using vegetables as noodles yet have never tried celery root noodles. This was really good and the crumble in this dish really made it pop. The final ‘main dish” to try was the A5 Japanese WAGYU beef. A5 is the highest grade given only to the finest beef. This was served with a Bordelaise sauce, a creamy mash and delicious micro vegetables. I’ve never had meat so tender in my life, it literally melted in my mouth, it was so rich and delicious. To our surprise we were then presented with two delicious desserts, a banana cake lovingly decorated with a happy birthday and candle for my dad, and a dark chocolate sphere. Our server poured hot chocolate sauce over the sphere to melt it and reveal handmade salted caramel ice cream - it was decadent, rich and creamy. Chef Strong and his people at Studio together make the best team I have ever encountered in a fine dining establishment. They work together with equal respect for each other, they create an environment that is not superior or stuffy, but elegantly comfortable for everyone to enjoy. The flavors on every plate of food that they serve are harmonious, which is how Chef Strong approaches everything: in perfect harmony.